In June of 2013, Texas state senator Wendy Davis became an overnight political sensation when she singlehandedly filibustered Governor Rick Perry’s sweeping anti-abortion bill. Her personal story is just as remarkable. The daughter of a single mother, Davis, at age 19, was on her way to becoming a single mother herself. She was living with her own young daughter in a trailer park while working two jobs and struggling to make ends meet. Still, she managed to attend and graduate from Texas Christian University and Harvard Law School, be elected to the Fort Worth City Council and the Texas Senate, and, in 2014, became the most serious Democrat in two decades to make a run for governor. 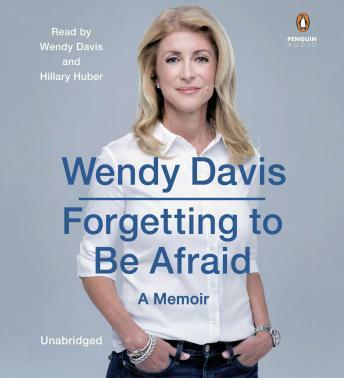 Refreshing and forthright, Forgetting to Be Afraid is a deeply moving testament to the enduring power of the American Dream.